Premier Pole and Dance School. Classes held in Longton, Staffordshire. Situated on Sutherland Road in Longton, Stoke on Trent. The studio is one of the largest Pole dance studios in the Uk, and has been running since 2005. The classes available at this studio are Pole Fit, Aerial Arts, Stretch and Hula Hoop. 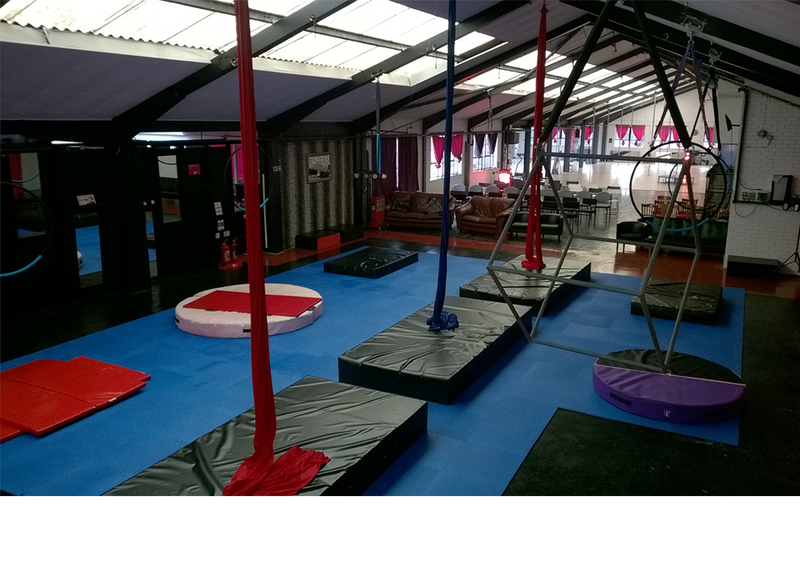 The space boasts a large main pole class area, pole practice area, two private tuition areas and a large aerial area. The pole areas have 28 spin and static poles, with grip sizes 36-52mm, in brass, stainless steel and chrome to suit all the customers’ different needs. 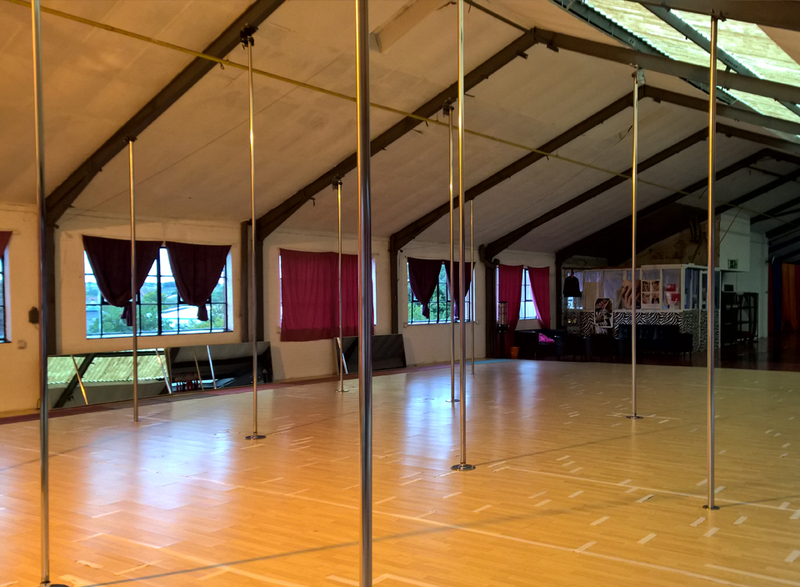 We have 4 stage poles in which we use to perform on outside of the studio, silks, aerial hoops and aerial cubes. Each area has safety matting provided. There is a small gym area provided in the practice area for members. The Longton Studio is open every day and has ten experienced instructors which take the classes. Each instructor has undertaken Pole Fit Teacher Training and has current public liability insurance. See below for instructor information. On the premises there is also Diamond Teese Burlesque. Pole-Fit parties are perfect for hen parties, birthdays, girly nights, get together, Christmas parties and even divorce parties!!!. The main emphasis of Pole-Fit Parties is to have fun within a private group. Parties are offered as either dance, aerial, burlesque, pole or mixed. The party will start with a warm up to get your body ready for the main session, which is fun and includes a quick party game. Then depending on which party you’ve chosen, you will be shown a variety of moves/poses/dance steps to put together for a small routine performed by everyone. The parties can be themed, from 80s to super hero’s… anything goes just let us know. You are welcome to bring cameras/phones to take pictures or videos or at Pole Fit we can use an in house photographer which can be booked to take pictures, making the party more memorable, just ask for a quote. By submitting your email address you agree to opt-in and recieve up-to-date information by email only from Pole-Fit Limited. Your email will not be passed onto any third parties. © 2015 Pole-Fit, All Rights Reserved.